Need a way to store taller sized merchandise? 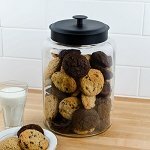 These 166oz Round Tubs With Lids are made of durable food grade plastic that stands approximately nine inches tall and about seven inches in diameter. Materials like wooden pencils and ink pens, individually wrapped licorice sticks, and other items will look great in a round plastic container. 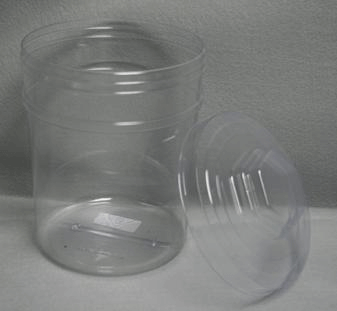 Don't worry about breakage, round plastic tubs offer the peace of mind you need in stores - especially candy stores where little hands are prevalent. 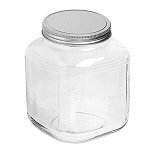 Our sturdy and dependable candy bins with lids are also perfect for the storage of small craft items or small personal care items. The lids on these plastic bins keep items securely inside. Organize your food pantry when you purchase edible products in bulk and keep them fresher than an ordinary seal-able plastic bag. Ordering is easy just click and add to your shopping cart, then proceed to check out now!